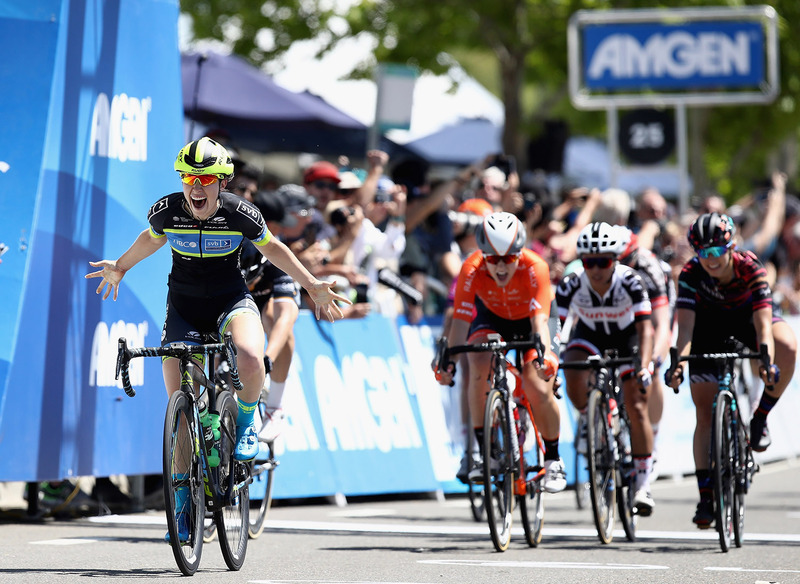 As the women’s race kicked off today, the anticipated sprint to the finish ended with Team TIBCO-Silicon Valley Bank delivering their 2015 National Champion (Criterium) Kendall Ryan to the stage victory. Next over the line were Emma White (Rally Cycling) and former track World Champion and 2012 Olympic Omnium Bronze Medalist Annette Edmondson (Wiggle High5). Top Canadian was Alison Jackson (Team Tibco - Silicon Valley Bank) in 18th in the same time as the winner. 39 Carolina Rodriguez Gutierrez (Mex) Astana Women S Team all s.t. 65 Tanja Erath (Ger) Canyon // SRAM Racing all s.t. 68 Jessica Cerra (USA) Hagens Berman / Supermint both s.t. 71 Christina Birch (USA) US National Team both s.t. 74 Mitca Betsabee Saloman Valenzuela (Mex)) Mexican National Team s.t. 79 Katherine Maine (Can) Rally Cycling all s.t. 81 Christa Riffel (Ger) Canyon // SRAM Racing s.t. 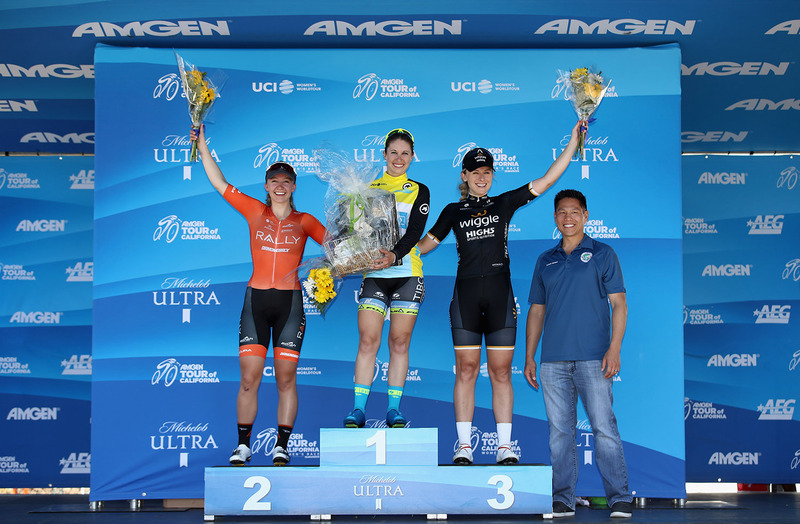 85 Chloe Dygert (USA) Twenty20 p/b Sho - Air all s.t.